What is the Skill Development Playbook Ebook? The Skill Development Playbook Ebook is a 10 chapter ebook that breaks down skill development without all the fluff and gives you relevant information on how to conduct skill develop and create a program for a team or individual. Who is the Skill development playbook ebook for? Are you a parent that conducts skill development for their own kid? Are you a coach that struggles with putting together an effective skill development program for your team? Are you a player that wants to know how to put together practical skill development program for yourself? If you answered yes to any of the above questions then the Skill Development Playbook ebook is for you. This ebook will give you tons of information and insight on what’s relevant in a skill development program without all the fluff. 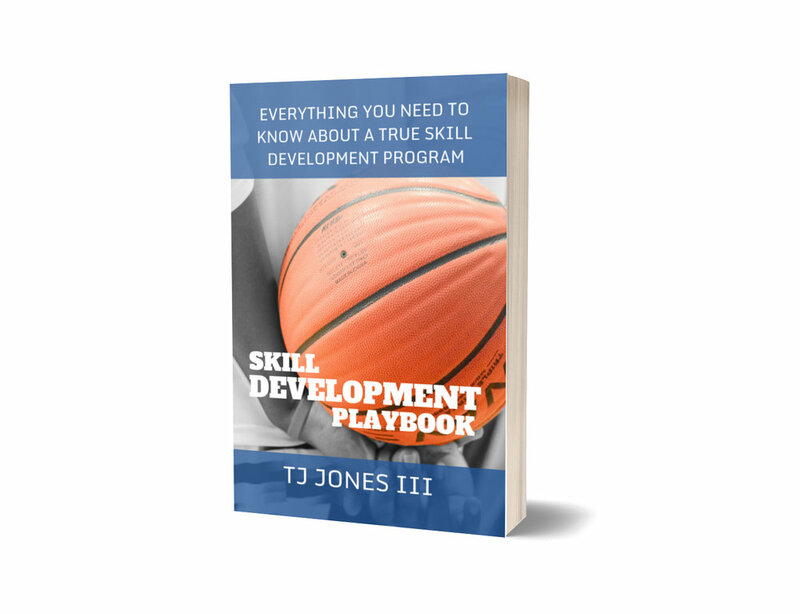 Coach TJ has been conducting skill development training since 2001 and he has built a successful business by using the concepts and ideas in this book. Now you too can develop your skill develop program and improve your players skill set in the most effective and efficient manner. Learn to organize and develop a system. The Skill Development Playbook is a podcast, blog, and now book that gives coaches and players information and insight on skill development. The podcast was hosted by Coach TJ who interviews some of the world's best coaches and get their thoughts and ideas on skill development. The blog has several articles on a variety of topics that cover everything from skill development to how to coach your kid. Now Coach TJ has written a book that covers this topic as well. With over 17 years of experience in skill development, Coach TJ shares his thoughts on how to conduct skill development and how he puts together his program that has helped individual players of all skill levels, coaches, and parents with skill development. The Skill Development Playbook is your go to source if you are a coach wanting to learn about skill development.